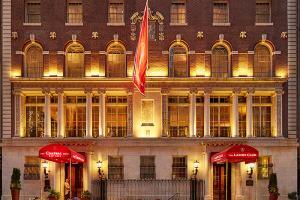 The Chatwal, a Luxury Collection Hotel, New York City is steps from Broadway theaters, museums, and endless entertainment. The building's 1930s Empire Art Deco look has been re-imagined, offering 76 guest rooms and suites with custom amenities. All guest rooms are spacious, elegant, and luxurious. Located in the heart of Times Square, just steps away from theaters, museums, and much more. The Lambs Club Restaurant & Bar - Modern, gourmet cuisine. Statue of Liberty, Metropolitan Museum of Art, Rockefeller Center, Central Park, Carnegie Hall.